Tell the Army Corps that You Oppose the Toxic Pebble Mine! The U.S. Army Corps of Engineers is recklessly fast-tracking the destructive Pebble Mine — a catastrophic gold and copper mega-mine that could destroy Alaska’s spectacular Bristol Bay wilderness for decades to come. 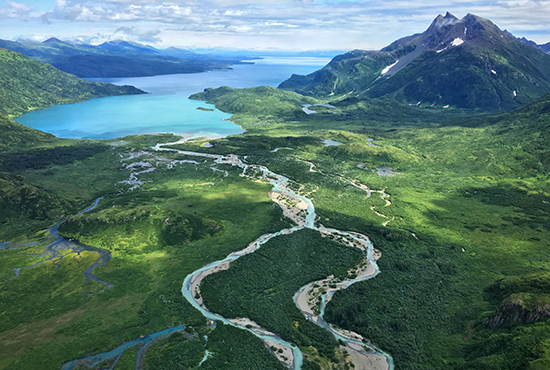 If fully developed, the Pebble Mine could produce billions of tons of mining waste, directly endangering streams that produce half the world's sockeye salmon, as well as Native peoples and wildlife like brown bears and bald eagles that depend on those fish. And yet the Army Corps just released a flawed, hastily-produced draft environmental impact study that ignores devastating impacts the project could have on local communities, economies, wildlife, and the environment. Tell the Army Corps that you oppose the Pebble Mine before the public comment periods ends on May 30. The U.S. Army Corps of Engineers is recklessly fast-tracking the destructive Pebble Mine. Tell the Army Corps to oppose this toxic mega-mine and save Alaska’s spectacular Bristol Bay wilderness. Submit a public comment before May 30. I oppose the reckless Pebble Mine! Dear U.S. Army Corps of Engineers: I'm appalled at your attempt to recklessly fast-track the permitting process for the Pebble Mine. Pebble Mine is the largest and most contentious mine ever proposed in Alaska. If fully developed, this massive gold and copper mega-mine could produce billions of tons of mining waste, threatening Alaska's Bristol Bay wilderness, its world-renowned salmon runs and wildlife, and its Native communities. But your recently-released draft environmental impact statement ignores the devastating impacts this project could have on local communities, economies, and the surrounding environment. And it falls far short of the rigorous, science-based assessment required by law and must be revised. This is simply unacceptable. I won't stand by and watch you turn Alaska's pristine Bristol Bay wilderness into a toxic wasteland for decades to come. I urge you to stop this destructive project immediately. Thank you for your time.